This is one of the first beauty boxes I tried. I have been getting Birchbox for about six months now, and this box was the start of my addiction to getting these beauties sent to me in the post. When you sign up to Birchbox you fill out a beauty profile, which they are meant to use to base what products you get given in your box. I’m not sure how much they actually go by what you fill in, as I have been given several products which are too light for my skin even though I have stated my skin tone. Also it appears that everyone gets nearly the same products, with maybe one or two being slightly different. With Birchbox you don’t know what products you will be receiving each month, as it is kept as a surprise. I quite like that about this box, but I also like other boxes where you get more of a decision as to what you will receive, such as Love Me Beauty and You Beauty Discovery. Birchbox is £10 + £2.95 P&P a month, or you can subscribe for 6 or 12 months, which would save some money. But I prefer not being tied into a subscription and being able to cancel at any time. Each month you receive approximately 5 beauty samples and an added lifestyle product, and they all come in a handy drawstring bag. You also receive Birchbox points for each box you receive, and then if you fill in surveys for each product you have been sent you get more points. 100 Birchbox points are worth £10 to spend in the e-store, which is probably one of the best parts of being subscribed to this beauty box. I already have a lot of points saved up and I can’t wait to spend them on some luxury full size products. Right well that is the box explained, so before I go on too much I will get on with reviewing this months box. 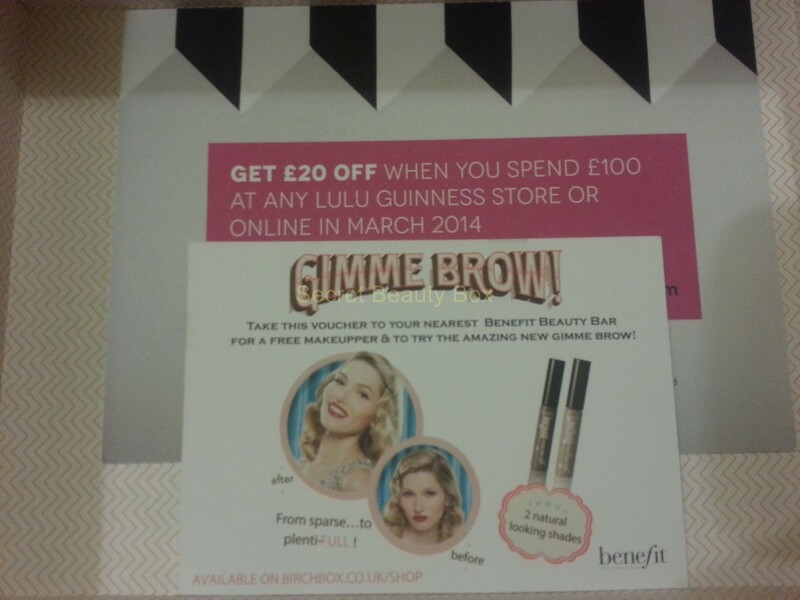 This month Birchbox collaborated with British brand, Lulu Guiness. So this month the box had a funky stripy sleve over it, also some products were picked by Lulu herself. But I must confess I haven’t actually heard of Lulu Guiness until now. This first sample from Benefit is 2.5ml in size, which may seem very small but as you don’t need to use a lot at a time it should last a while. This sample is worth £5.13, which is already half the price of the box! The full sized product is £20.50 for 10ml. This product is a primer for eye make up and concealer, so it makes your eye make-up stay put all day long. All you need to do is apply 3 small dots below your eye and also on your eyelid, blend in, let set and then apply your eye shadow and concealer as usual. This is also great to wear alone, for those days you really don’t want to wear much make-up, but also need that little something to hide those pesky under eye circles. You may expect this to dry out your skin, but it really doesn’t! It actually hydrates, which is great. It also contains Vitamins C and E which help fight signs of aging! Can’t complain with that. It comes in two different shades; Light & Medium, Medium & Deep. I received the Light & Medium, when i really should have received the Medium & Deep shade if Birchbox had read my beauty profile correctly! But that isn’t really a massive issue, as by the time I have finished applying all of my make-up you don’t really notice what shade has been used. All in all it is a great little product to try, and is a very handy size to pop in your handbag. 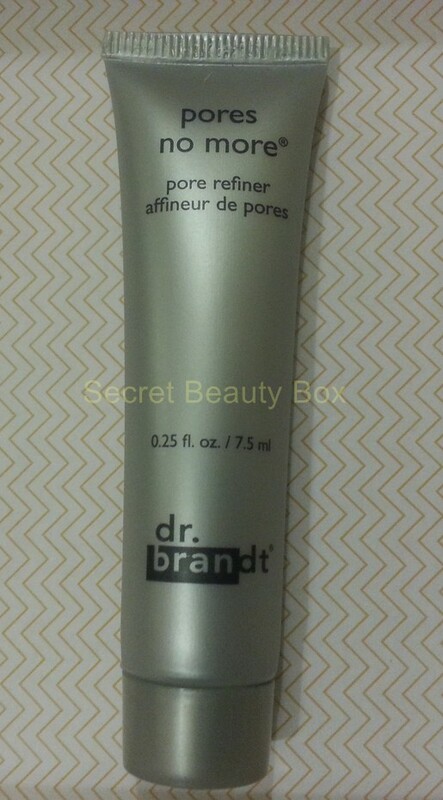 This sample is from Dr Brandt, I have tried their products before but only through Birchbox. This sample is 7.5ml and is worth £9.75. The full sized product is £39 for 30ml. Pores No More is a pore refiner, which absorbs excess oil, minimises pores and blurs fine lines. It has a nice silky soft feel when applying to your skin, and glides on effortlessly. I love the way my skin feels after using this product, and it also mattifies the skin reducing shine. It also contains Tea Tree Oil, which has antibacterial properties to help keep your skin healthy. This can be applied before make-up and also after make-up, so that means you can re-apply it throughout the day when you feel it is needed. I think this is going to be a must to add to my holiday bag, to help against humidity and it is also resistant to sweat! Always handy when going to a hot country, and when you don’t want to look a sweaty mess in all your holiday snaps! 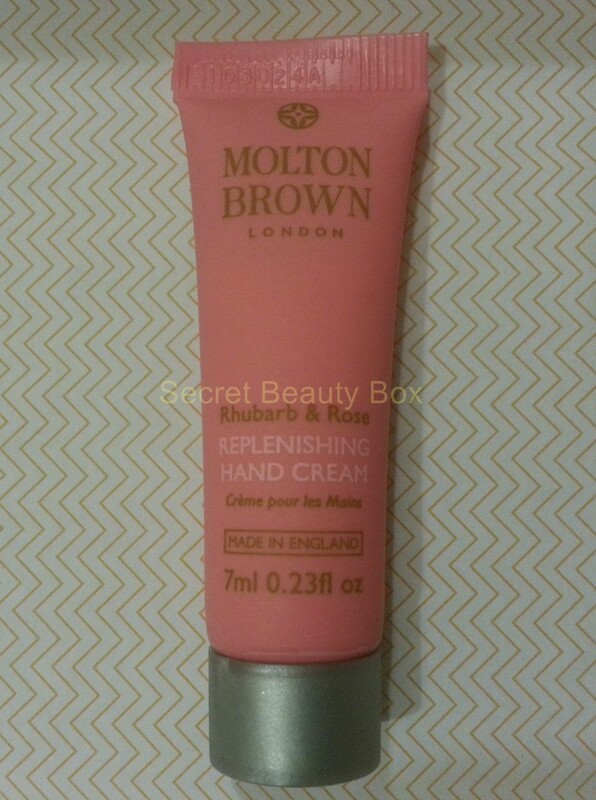 This sample is for Molton Brown Rhubarb & Rose Replenishing Hand Cream, it is 7ml and worth £1.75. The full sized product is £10 for 40ml. I don’t really tend to use hand creams that often, but this smells divine and I will definitely be using this one. It contains truffle extract, which ensures you hands stay incredibly soft, and rose extract, which is moisturising. The thing I like about this hand cream is that it absorbs instantly, I don’t like hand creams that leave your hands feeling greasy after using them. This is also a handy size to pop in your handbag or make-up bag. So I am quite happy with this product. This sample for AromaWorks Nurture Body Oil is 5ml and is worth £1.63. The full sized product is £32.50 for 100ml. I wish the sample size was a bit bigger, as if you are like me and like to apply body oil all over your body then I don’t think this will last for many applications. So really you will only be able to try this product once, which for me isn’t enough when deciding whether to spend £32.50 on something. The smell of this oil is absolutely gorgeous. It consists of a blend of May Chang, Roman Chamomile & Sandalwood mixed in with coconut oil and helps promote relaxation and mental calm, it also smells very luxurious. I don’t think this is something I would purchase the full sized product of though, I just couldn’t spend £32.50 on 100ml of this, I use that much body oil that this really wouldn’t last that long. I think I will stick with my cheaper and larger alternative, which is Baby Oil and does the job, even though it doesn’t smell as divine as AromaWorks. 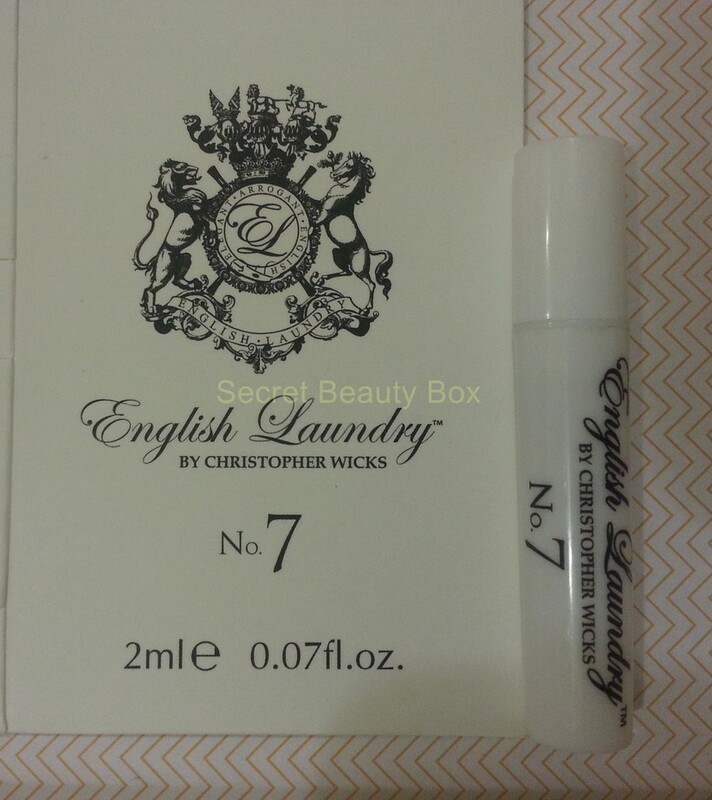 This sample for English Laundry N0 7 is 2ml and is worth £1.88. The full sized product is £47 for 50ml. Well I received an English Laundry sample a couple of months ago for the Signature perfume, and I fell in love with it and I even received the Full sized product for my birthday off my partner. So I was quite happy to see another sample from the same brand, and yes I also love this one too! So I think I maybe using my Birchbox points to purchase this. I can see how people would not like perfume samples as you can just go to a perfume counter and ask for some, but as you can’t get this product in the UK I would never have discovered my now favourite perfume! So thank you Birchbox. This perfume has notes of pear, jasmine, melon and apricot. Gardenia, jasmine, almonds, sandalwood, vanilla créme and musk. It has a sweet musky smell, and if probably more an evening perfume compared to the Signature scent. The final little extra product is a Lulu Guiness stick of rock, which is apparently her inspiration for her Spring/Summer collection. Not the most useful or extras but i’m sure I will get round to eating it at some point. Would have been better if it was something we would benefit from. There was also a voucher for £20 off when you spend £100 at any Lulu Guiness store, or online. I won’t be using this as it has to be used by the end of the month, and i don’t really have £80 spare!! So a bit of a waste really! 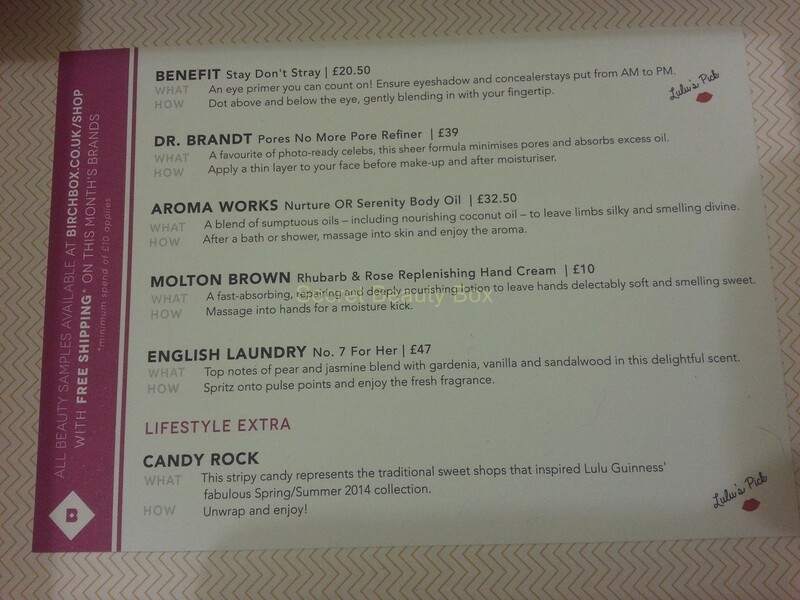 There was also a voucher for a free makeupper at a Benefit Beauty Bar, which also seems a bit pointless and they will do this for you anyway without having a voucher. All in all I am still liking Birchbox, but I do wish there were some larger samples in the box. They seem to be getting smaller each month, it would be nice to have at least one full sized item. But I do like the fact that they are more luxurious brands than other boxes, so you get to try things you wouldn’t normally get a chance to. Also as you receive points every month you will then be able to purchase a full sized product, this is probably one of the main reasons I stay with Birchbox. The total value of this box is £20.14 (excluding the stick of rock), double what you pay for the box without p&p, so you do get your moneys worth out of the box. If you are interested in signing up to Birchbox click HERE. You will receive 50 (£5) points. Also – for a limited time only – all subscribers have the chance to win a Mother’s Day Beauty Hamper, worth £500! Packed with luxurious products from brands including Aromatherapy Associates, Laura Mercier and Benefit Cosmetics, it’s such a fantastic treat for any mum in your life. You will be automatically entered if you subscribe while the competition is on. 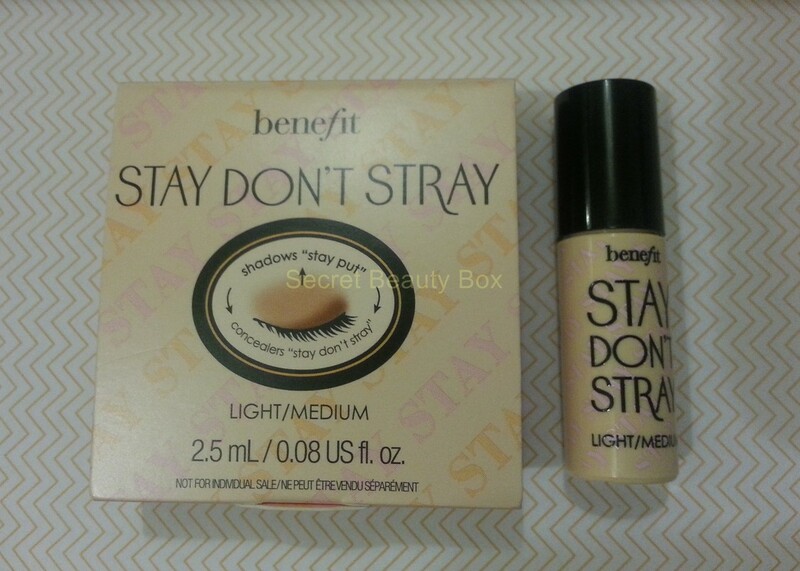 I love that benefit product. Great box!